Give those new year's resolutions a second go! January may be done and dusted, but the Lunar New Year is just getting started, with Chinese New Year celebrations kicking off around the world. The festivities start on the evening before the new year begins (this year, New Year's Day is February 5th) until the Lantern Festival, which is held on the 15th day of the Lunar New Year. Along with good food (hello dumplings) you can expect to see lots of red, a lucky colour in Chinese culture, and most Australian capital cities will showcase Chinese performances and parades. 2019 marks the Year of the Pig, and the last time that happened it was 2007. But what does it actually mean? We have your cheat sheet right here. In Chinese mythology, the pig is the final animal of the zodiac, because it was last to attend a party held by the Jade Emperor, a representation of the first god in Chinese theology. Within the years of the pig, there are five variations named after the Chinese elements: metal, water, wood, fire and earth. 2019 is the first year of the earth pig since 1959. Pigs are also seen as a symbol of wealth and fortune in Chinese culture so if you were born in 1947, 1959, 1971, 1983, 1995, 2007 or 2019, it should hopefully be a good year ahead! People born in the year of the pig are said to be warm, generous and honest social butterflies. However, their generosity can also make them a bit naive and they can be lazy from time to time. Some celebrities you may know who were born in the year of the pig include Chris Hemsworth, Rachel Weisz and Mila Kunis. Good news for parents of babies born in 2019 and those born in 1959 - people born in the year of the Earth Pig are thought to be highly social with lots of support in work and life. But despite their success, they aren't the most romantic people so that's something they may need to work a bit harder at. So what can we expect this Year of the Pig? "Don't let the opportunities of this year pass you by. Get up from the sofa and pursue your goals with energy and you can find success," she says. Leading spiritualist Rose Smith from Absolute Soul Secrets adds that this year will be "intensely powerful" and that we'll need to make compromises, act with integrity and trust our higher selves. "During the 2019 Year of the Pig there is likelihood of chaos and confusion. At times pigs like to get down in the mud and dirty themselves up a bit, in order to regulate their own body temperature," she says. From the Lunar Lanterns that light up the western boardwalk of the Sydney Opera House to celebrations in the heart of Chinatown, there's plenty to do in the city. 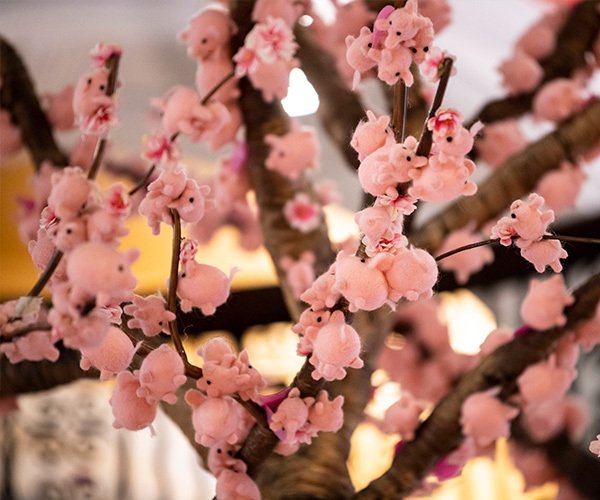 There's even a gorgeous wishing tree in the iconic Queen Victoria Vuilding that at first glimpse looks like a cherry blossom tree, but when you look closer, is actually covered in adorable plush pigs! Get more info here. 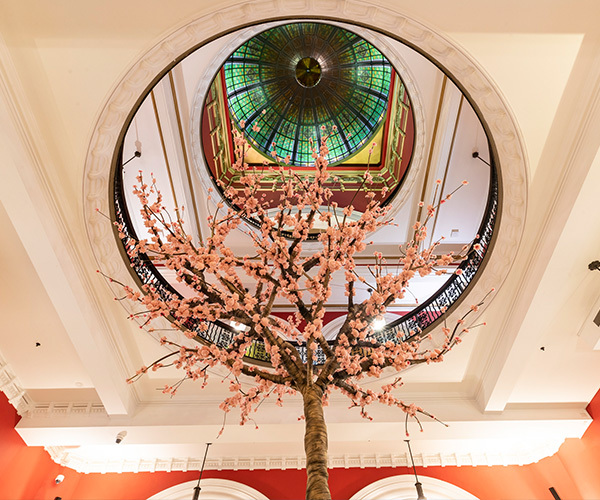 Swipe across to see the stunning QVB tree up close! If you're in Melbourne for Chinese New Year, we'd recommend the Dragon's Awakening Ceremony where a Chinese dragon, lions and street performers amongst others will make their way through Chinatown. Learn more about it here. Keen for a mix of traditional Chinese, Korean and Vietnamese dances, cultural performances, firecrackers and hands-on workshops? Then head to Chinatown Mall in the Queensland capital for a dose of culture. The Western Australia capital will host a Chinese New Year fair on February 10th so if you're keen for a cultural extravaganza, get all the details here. For a loud and lively affair, Adelaide is the place to be. On February 9th, stalls and entertainment will be set up across Gouger Street and Moonta Street to celebrate the Lunar New Year.